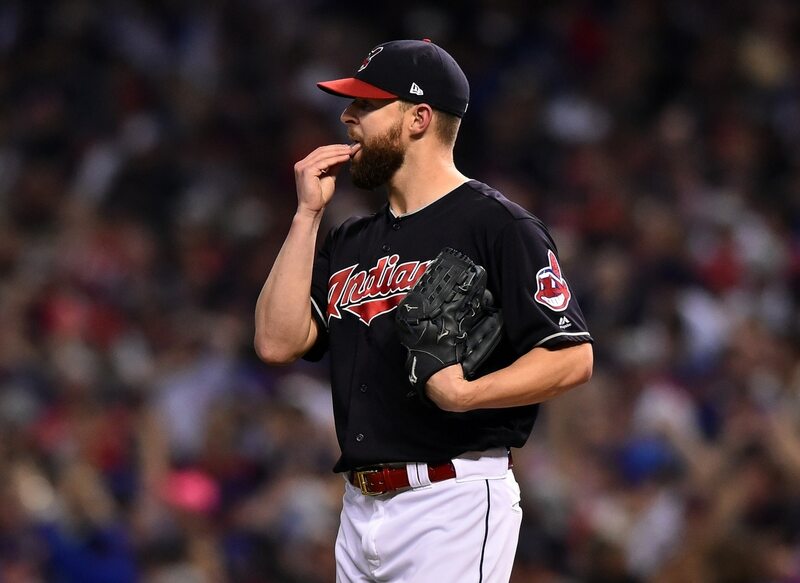 The Cleveland Indians’ decision to extend Carlos Carrasco on Thursday raised a ton of questions about the future of both Trevor Bauer and Corey Kluber in Cleveland. All three had apparently been on the trade block prior to Cleveland inking Carrasco to a two-year extension. Naturally, we wondered what that might mean for both Bauer and Kluber. According to Jeff Passan of Yahoo! Sports, the Indians are now “motivated” to move one of the two top-end starters. It made sense for Cleveland to wait for the entire Patrick Corbin situation to play out before getting deep into discussions regarding Kluber and Bauer. With Carrasco now inked long term, we can expect a trade here soon. Having earned two Cy Young awards, Kluber is the better known of the two pitchers. He posted a 20-7 record with a 2.89 ERA and 0.99 WHIP while striking out 222 batters in a league-high 215 innings last season. Five years younger than his teammate, Bauer might be a more attractive option for teams. He pitched to a 12-6 record with a 2.21 ERA last season. The 27-year-old starter is also under team control through the 2020 season. The Los Angeles Dodgers had been in talks with Cleveland regarding all three of the pitchers mentioned here. And after missing out on Corbin, the New York Yankees might look to get involved.